A recent episode of "News from the Frunk" was on the first Tesla Model X in Miami and in south Florida. As in case of other early deliveries, this Signature #80 is fully equipped, which means 90 kWh of batteries and Ludicrous Mode. According to the first drive report, the car feels similar to Model S, very solid, heavier than a Model S, but the quality, fit and finish is at a higher level. 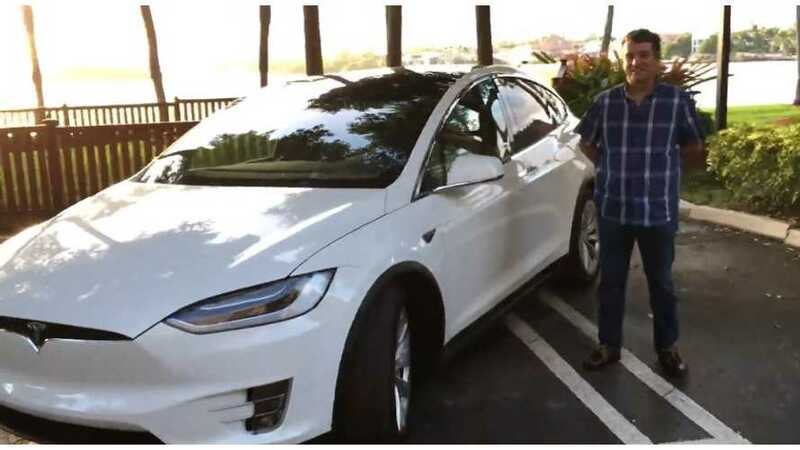 "Juan Osorno has just taken delivery of Model X Signature #80, and he let me drive it. Here’s my interview with Juan, and a few thoughts on the car." The car is charged from a dedicated parking space at a condo, as administration agreed to permit charging station installation with a separate meter.